* Pre-Production / Pilot Vehicle: This Cadillac XLR was a "Captured Test-Fleet" (CTF) Vehicle. The CTF vehicles were Manufacturing Validation Build Saleable vehicles that GM built to confirm both the manufacturing process and quality standards before dealer orders were accepted. 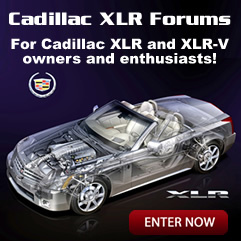 If the VIN ends in EX, this Cadillac XLR was an experimental vehicle used by GM for testing and then destroyed.